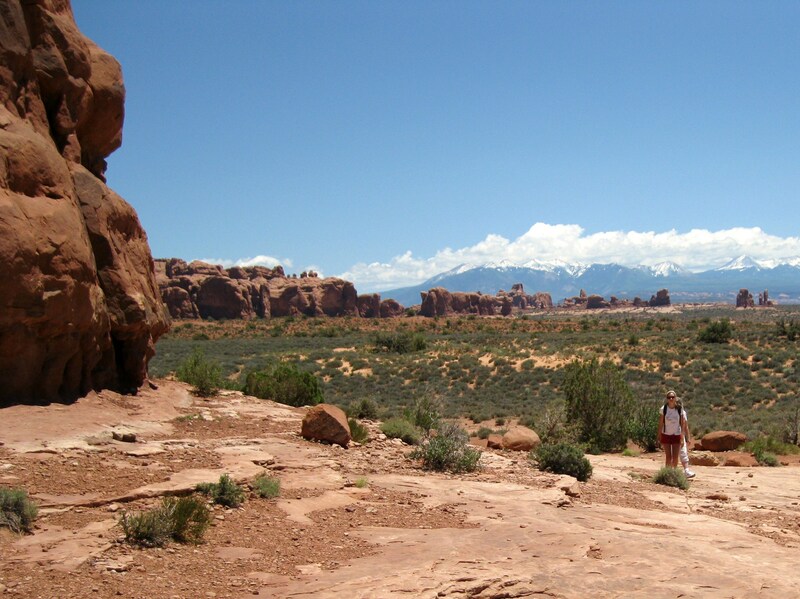 There were signs everywhere at Arches warning people to stay on marked trails, because if you left them you risked stepping on and destroying the soil’s cryptobiotic crust. Wait, cryptowhat? Isn’t that something to do with bigfoot? No, that’s cryptozoology. 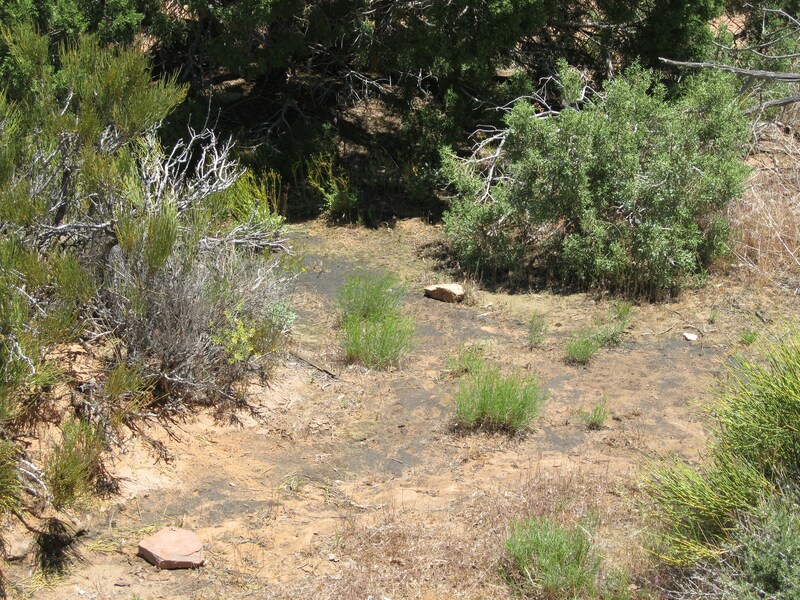 Cryptobiotic crust is a black layer that forms on the surface of the soil in arid regions, and as the name suggests, it’s actually alive. See the black stuff on the ground in this photo? If you do a Google image search, you can find other, better images, but basically it’s made up of a mixture of stuff like bacteria, algae, fungus, lichens, and mosses. It’s delicate enough to be severely damaged by a single footprint or tire track, and depending on conditions it can take as long as a century to re-grow when it’s damaged. Soil crust decreases erosion, alters how water infiltrates the ground, and benefits plants by increasing nutrients in the soil. It can be an important part of desert ecosystems. What a great word – cryptobiotic. Must add it to my list of cool biowords, like nictinating and stridulating. Signs! We were recently down the coast and the local council had put up two VERY LARGE AND CLEAR signs, in different spots but on the way to and at a swimming hole, warning about the dangers of swimming there as there was an infestation of toxic blue-green algae in it. Needless to say, a group of teenagers were happily jumping in from a height and splashing merrily. Andrew went up to them and explained the danger – hadn’t they read the sign? No. They looked horrified. and got out immediately. Sigh. Hope their immune systems were up to it! Rebecca Heisman Create a free website or blog at WordPress.com.